IAM General Secretary-Treasurer Robert Roach, Jr., has announced the hiring of Will Cashion, Jr., and Alejandro (Alex) Castrillo as Grand Lodge Auditors, effective January 1, 2014. Cashion will service Auditing Zone 4, which covers Washington, DC, Maryland, Virginia and North Carolina. Castrillo will be in charge of Auditing Zone 12, which includes Texas, Oklahoma, Puerto Rico and the Virgin Islands. 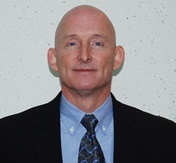 Cashion has served as Secretary-Treasurer of Local 1725 in Charlotte, NC since 2001. He has been a member of the IAM since 1986 and was the President of Local 1725 from 1993 to 2000. Cashion has spent time as the President of the North Carolina State Council of Machinists, Vice President of the NC AFL-CIO, President of the Southern Piedmont Central Labor Council, and as an Educator and member of the Organizing and Legislative Committees of his Local Lodge. 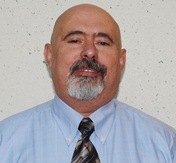 Castrillo, a 20-year IAM member who most recently worked at Auto Truck Transport, has been the Secretary-Treasurer of Local 83 (now Local 121) in Garland, TX since 2005. He was part of the Negotiating Committee when AGAP Engine Supply was organized by the IAM in 1993 and was later elected Chief Steward. “We are excited to have Brothers Cashion and Castrillo joining the GST staff. Their addition allows the entire auditing team to better service our brothers and sisters in the field,” said IAM General Vice President Dora Cervantes.